Summary: Birks is a fell which forms part of the ridge between Deepdale and Grisedale near the village of Patterdale. It is frequently visited by those walkers who are on the way to or from the higher adjoining fell of St. Sunday Crag. The terrain is covered for most parts by short tussocky grass with a few outcrops of rock. 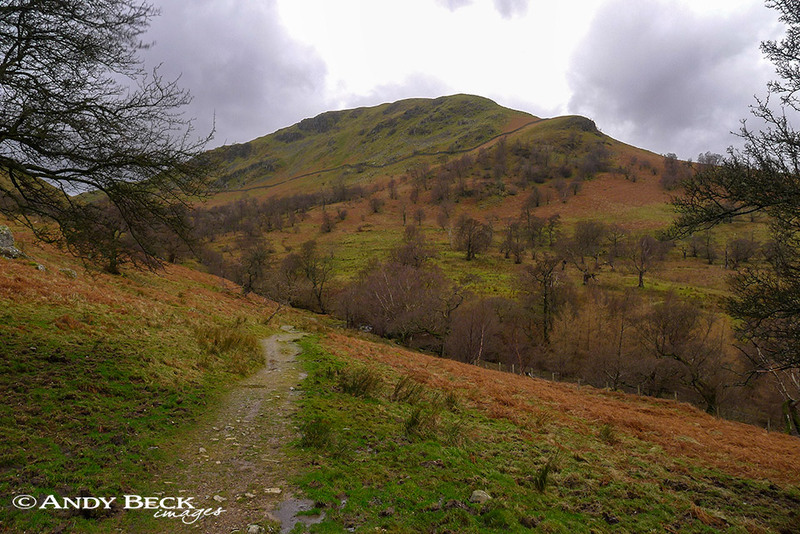 The best route of ascent for walkers is via a path which goes over Thornhow End above Glenamara Park, this route provides impressive views back over the top end of Ullswater. The path that crosses the summit plateau for the fell goes over the high points of the fell. Wainwright’s summit was taken from the relevant maps of the day at a height of 2040′. At the summit there are good views of higher fells in all directions but a more pleasant viewpoint is at the top of Thornhow End (Black Crag). Topographical details: The true height of the fell has now been recalculated to 2041′ 622m and this is at a point 200m south-west of the location of the measured height on the maps of AW’s day which is at GR: NY 3817914485 only the O.S. 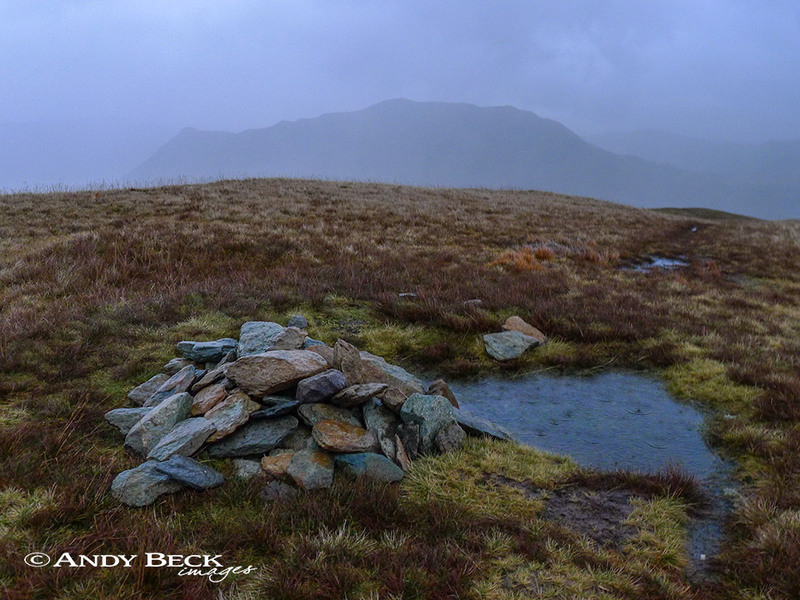 maps named it as Birks, this is the Wainwright summit and is marked by a small cairn near to which is an O.S. ground bolt. 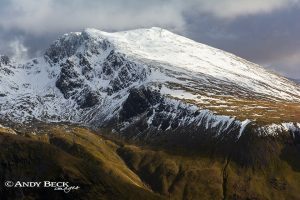 Other current fell lists have the 622m recent spot high as the summit. Points of interest: There is nothing really of note on Birk, no old quarries, historical features or impressive crags. On the 1 inch O.S map of Wainwright’s day there was a beacon marked on the site of the cairn but it is no longer there. Adjoining fells: St. Sunday Crag reached by good paths. Arnison Crag lies to the north-east. 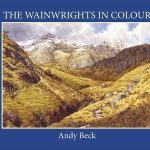 Star rating: (1.4 / 5) part from the reasonable views from the summit and the fact that it acts as a good “stepping stone” for a visit to St Sunday Crag there is not a lot of merit for Birks as a fell.